You don’t need to be an IT guru to create uniquely designed Facebook posts. 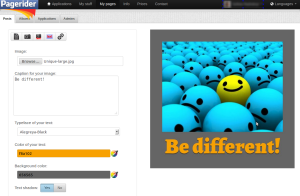 You can post texts, images, caption with selected font types, colors, background whatever you want from within Pagerider. 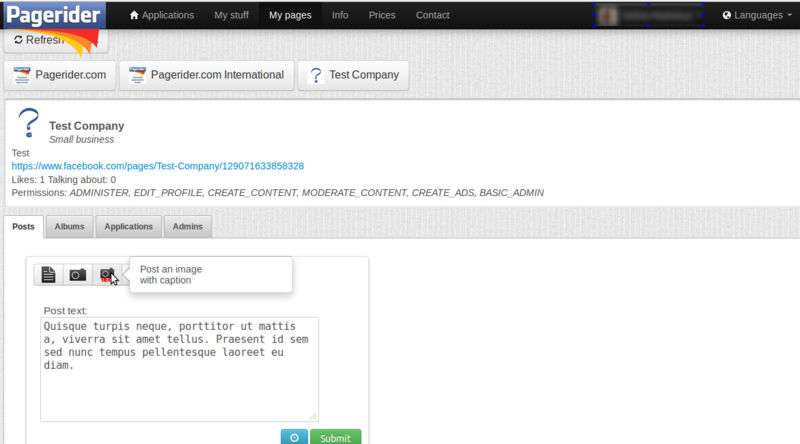 The post function in Pagerider is under the My Pages menu. Here you can find all the pages administered by you. Click the page where you would like to post. 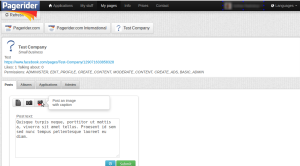 In that page you can post text, image, image with caption, text as an image with coloured background or a link. Choose an image and upload it! Write a caption on the image! You can choose font types, colour, font size and even the background colour. Clicking the button your can check the final look of your post. 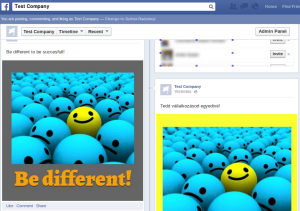 If you are satisfied with it, just click on the Submit and the post is published on the timeline of your Facebook page.